Developing a variety of products & training that enable testing professionals to adhere to industry standards. 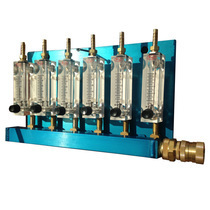 Our products are the industry standard when it comes to helping you perform water and air infiltration testing within the strict guidelines of ASTM, AAMA, WDMA and CSA. In most cases, when you place an order we are able to ship your items the following day. 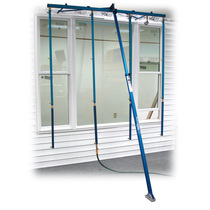 The RM Group got started in 2004 on the strength of its flagship product, the patented Rain Maker spray rack. Located in Minnesota, we have our assembly center west of the Twin Cities in the old Tonka Toys building on the shores of Lake Minnetonka. 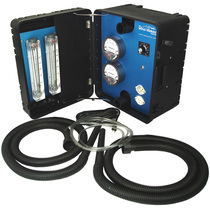 Along with patenting and developing the Rain Maker spray rack, the RM Group continues to develop a variety of other products that enable testing professionals to adhere to industry standards for water and air infiltration testing. Our goal is to be a valued and trusted resource to the testing community, and to always provide the highest level of customer service. Free ground shipping anywhere in continental US*! Our clients sharing their experience. I would like to congratulate you and the RM Group for your products. This morning I assembled them (Rain Maker spray rack and Wind Maker PLUS) and gave it a try... They are really amazing and professional tools. I'm really happy I found your company. The classes totally exceeded my expectations. I went in with a goal of getting my staff trained on the basics but I feel they left with much, much more. Mike Sovell's hands-on-training in the RM Group's lab saved me months worth of staff training! Not only did my staff add to their knowledge but I was able to fine tune my skills even after all my years of forensic inspections and testing. I recommend Mike's classes to all levels of forensic testers, from the beginner to the expert. I have always subscribed to the theory, 'the day you think you know everything, you know nothing'. In the 35 years that I have been in the window business, I have never attended a more informative seminar than the one given by Mike Sovell. The combination of classroom work with a hands on approach to reinforce the material was outstanding. Mike's knowledge of the ASTM and AAMA standards is unprecedented. With the current litigious environment and the changing building codes, I would strongly recommend this course to all window executives. Just a quick note regarding my recent purchase of the Wind Maker: I had the opportunity to use it last week, just days after I received it. It performed perfectly and way beyond my expectations. Even on a large chamber we had ample power to test extreme pressure if desired. I was also impressed with the noise level...or should I say...lack of noise. Never again will my team have to shout over the blower motor noise. Great job, Todd! I recommend your Rain Maker spray rack whole-heartedly. It is a GREAT tool to have - and it paid for itself on the first job. I appreciate quality, and much prefer your system over the PVC units that I have also worked with in the past. In a nutshell, QUALITY PAYS - IT DOES NOT COST (you). Keep up the good work, and thanks for the excellent service! Consult with our experienced team for complete solutions.